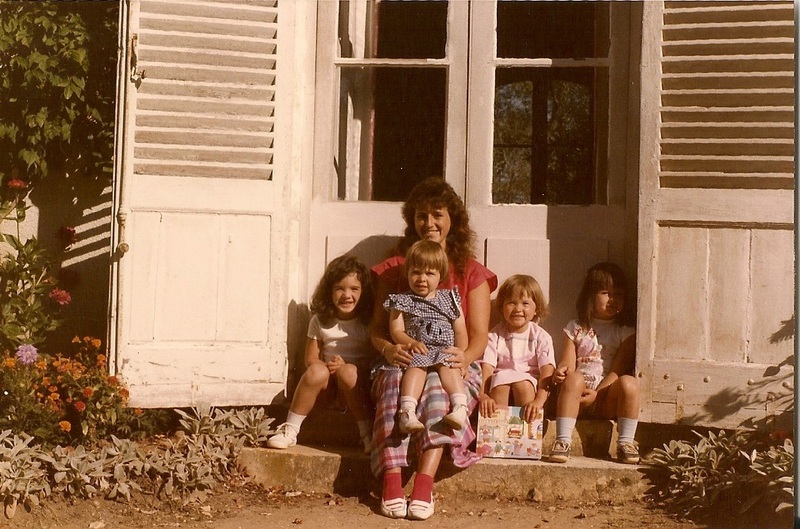 In 55 days, I'll be in France again. 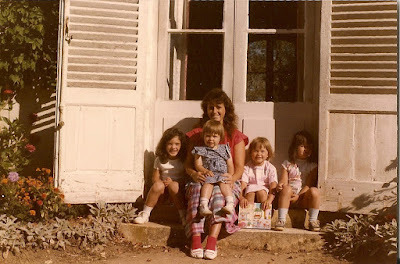 Here I am in the French countryside in 1985 as an au pair. In 1991, I dragged my husband along for the first time. 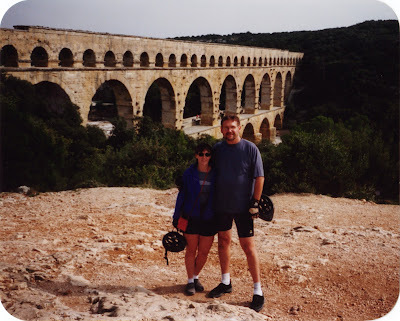 Bicycling around Provence and across the Pont du Gard. 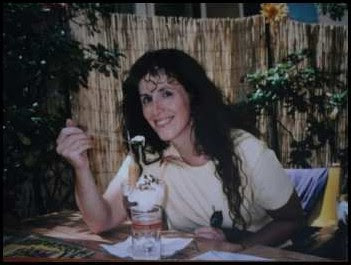 Eating ice cream in Aix en Provence. 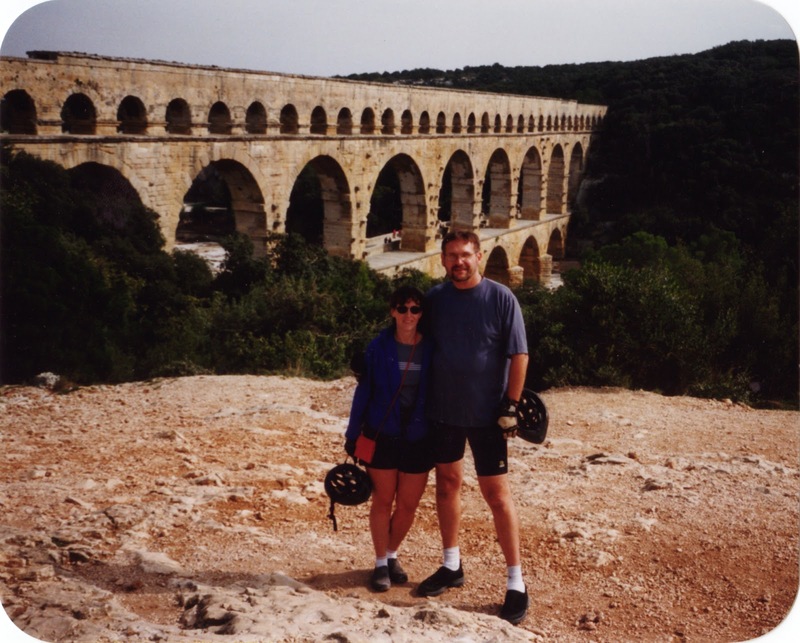 And just a few years ago in Isle sur la Sorgue in the south of France. Do you see a pattern? I'm pretty much always smiling and happy. Well, it's vacation, what's not to like? 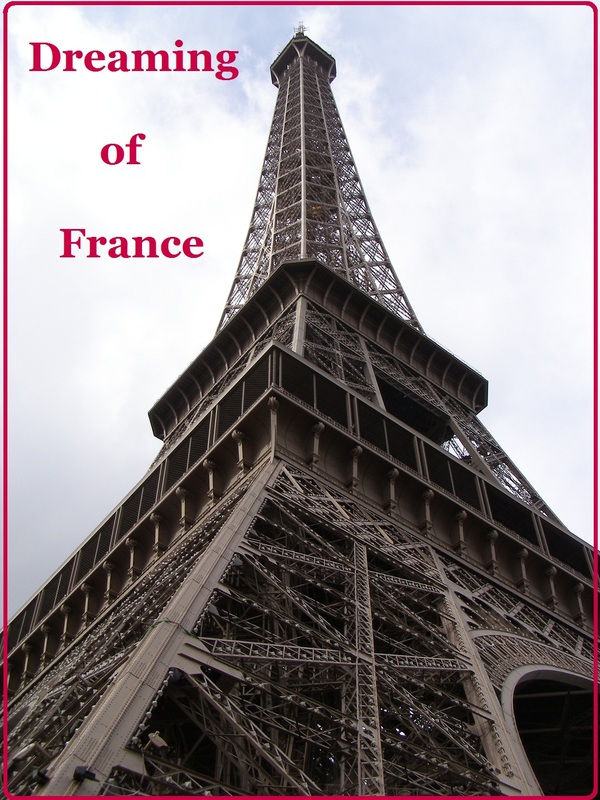 I'm looking forward to our vacation in France, in preparation for our move to France in the fall. Thanks for playing along with Dreaming of France and please visit the blogs of others who join in too. How exciting! Let me know if you're going to be in Carcassonne. Happy to help you in your search for a place to live. Francetaste, We will be. We are spending a week in Quillan and definitely plan to visit Carcassone. I'd love to meet so you can tell me some stories in person. Let's plan it. Comme c' est beau de voir votre bonheur de venir chez nous Paulita ! Même quand il pleut vous êtes, tous les 2 resplendissants de bonheur...vous aimez plus la France que moi, je le pense vraiment ! 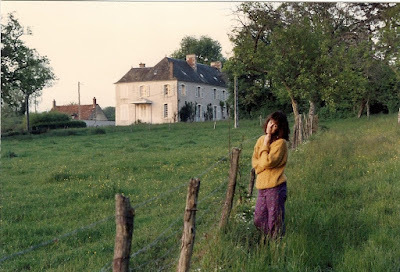 C'est parfait que Francetaste se propose à vous aider à trouver la maison de vos rêves . Son expérience de la région vous sera précieuse pour éviter les problèmes dans votre recherche.// How beautiful it is to see your happiness of coming in our country Paulita! Even when it was raining, both of us are glittering with joy...You love France more than me , I really mean it! 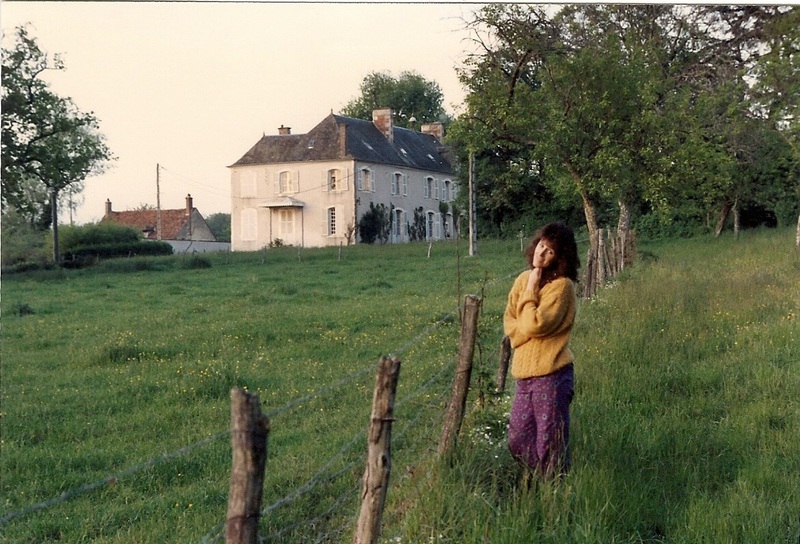 It is all right that Francetaste aims to help you to find out the home of your dreams.Her experience of Occitanie county will be very helpful to avoid mistakes in your house hunt.Hello from France( Lyon ). Philippe, Thanks for you good wishes. Yes, I'm sure that it will help to have an ally in francetaste. Oups...as I read your comment about my latter post, I saw a big fault of syntax into my post: I rather had to write " Both of you..." instead of " Both of us..." . Sorry for my weak level of english. Don't hesitate to correct me to improve my syntax. Your tips will be very welcome Paulita! Loved the photos----have a great trip!